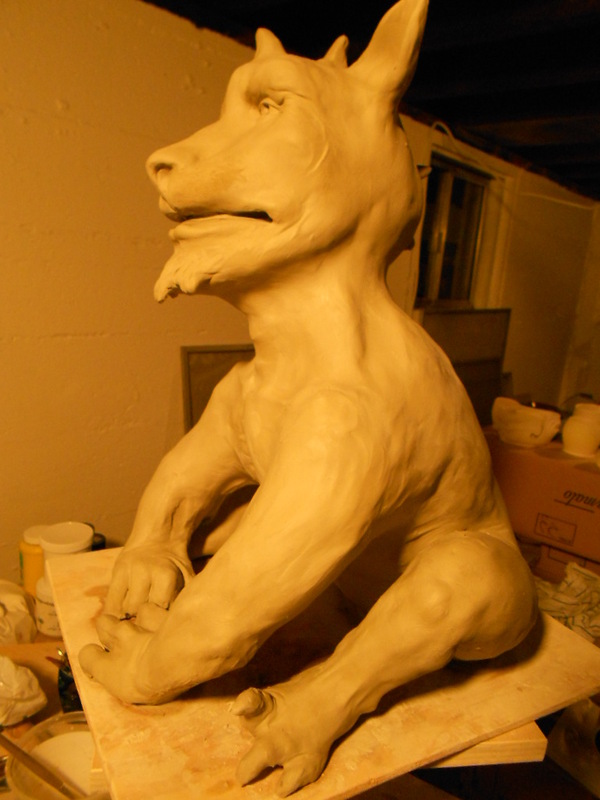 I slapped together a quick gargoyle body and put the head on. 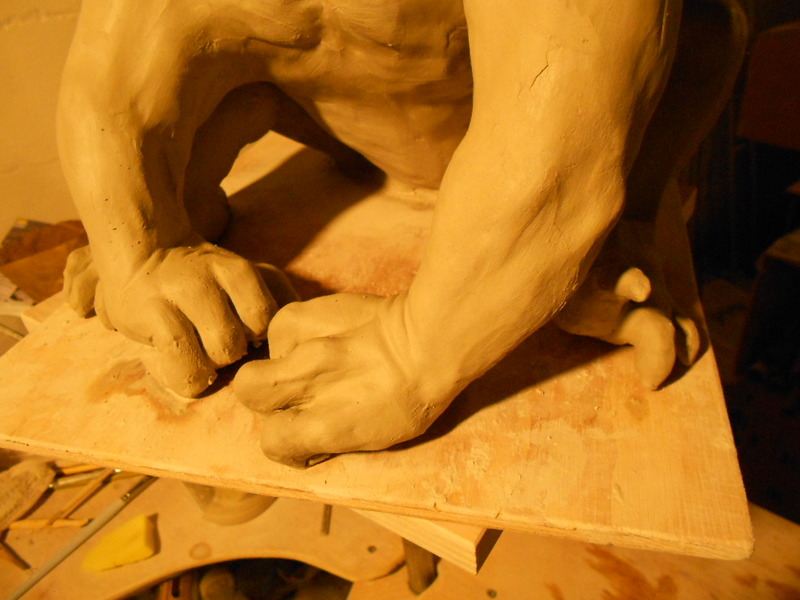 The feet and hands are quick gestural studies, tons of fun to make. 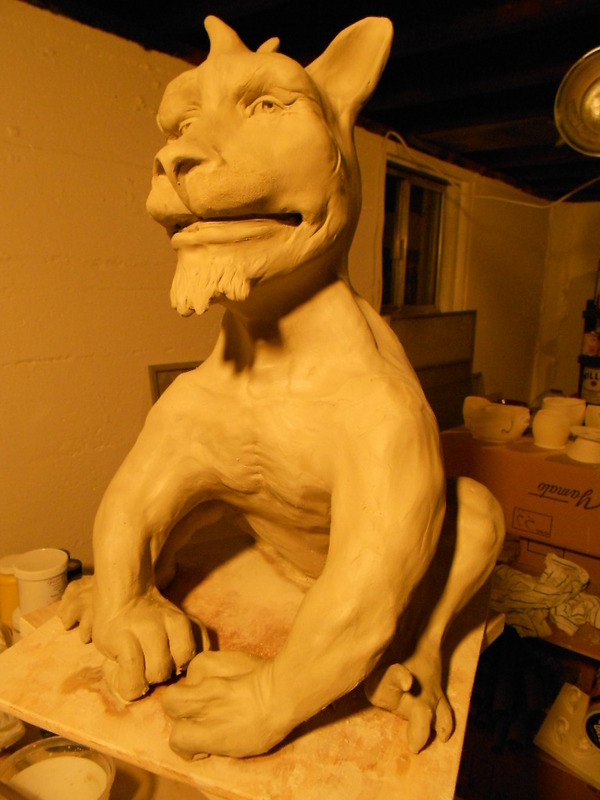 I love gremlins & gargoyles because it’s all play. 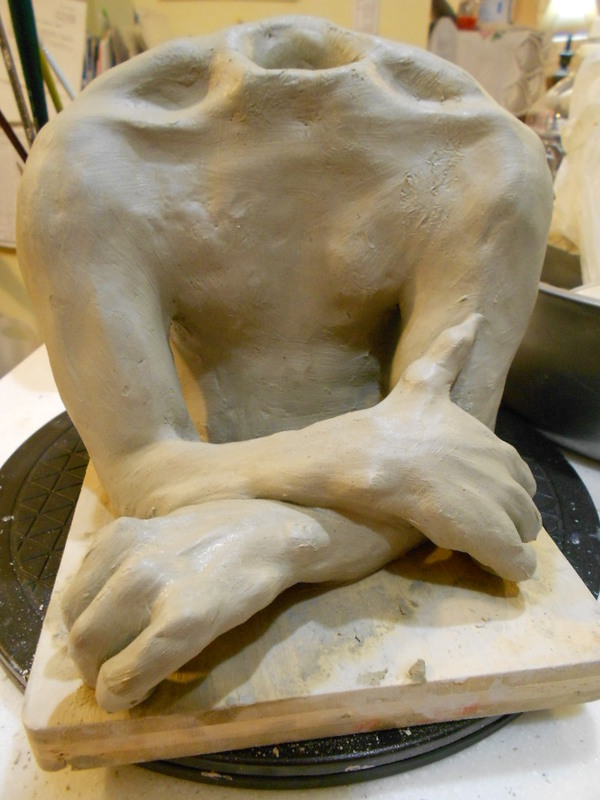 No fussing over proportions. 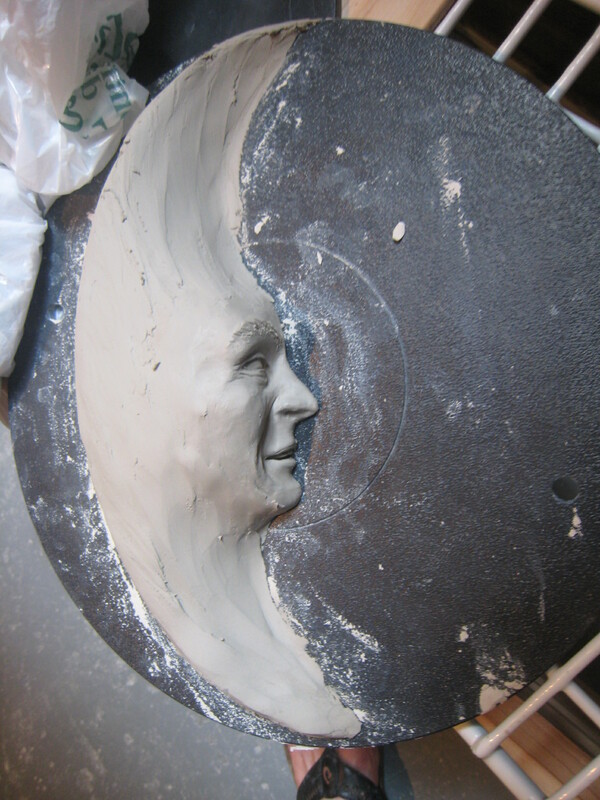 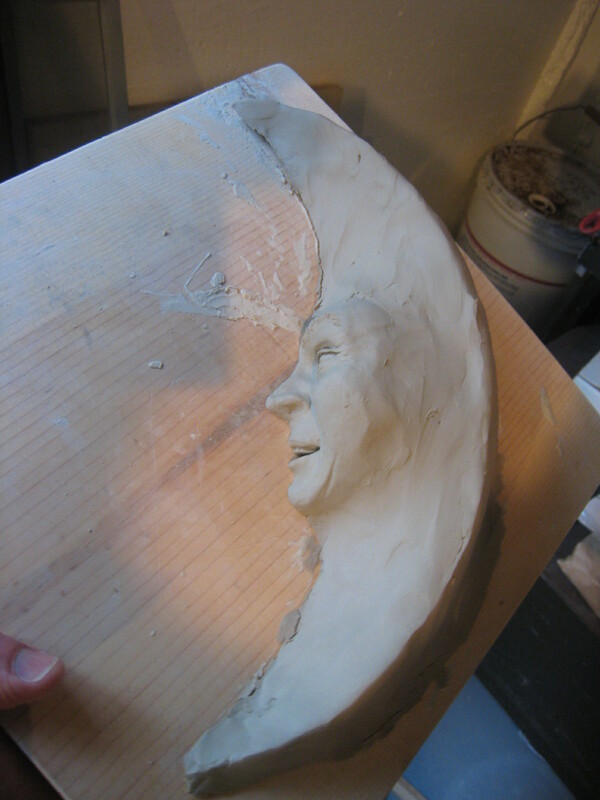 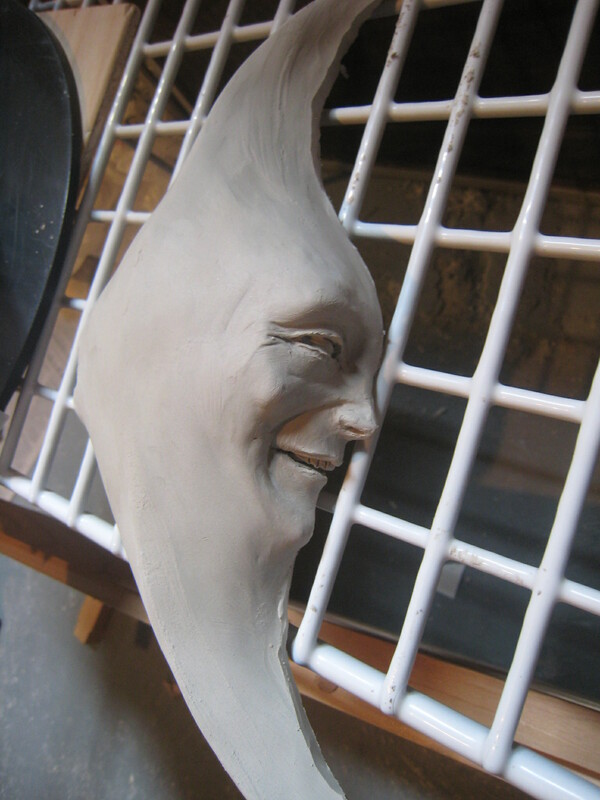 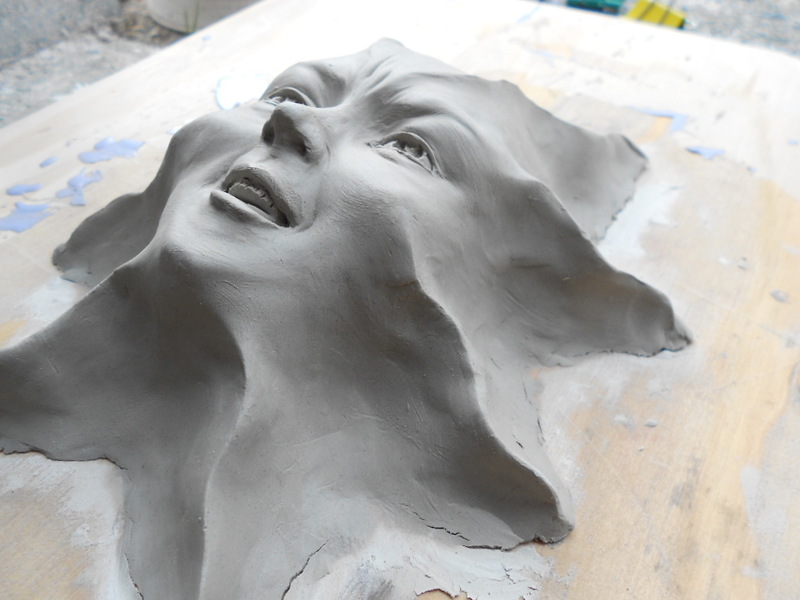 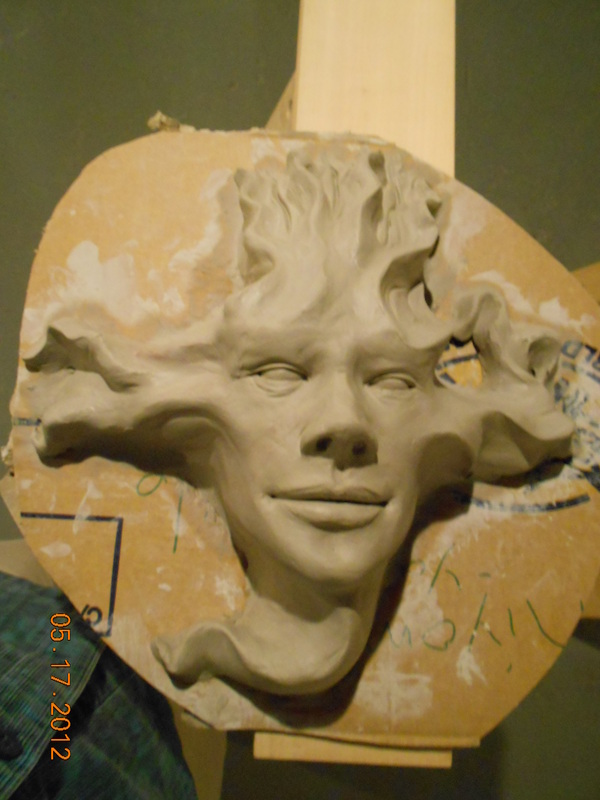 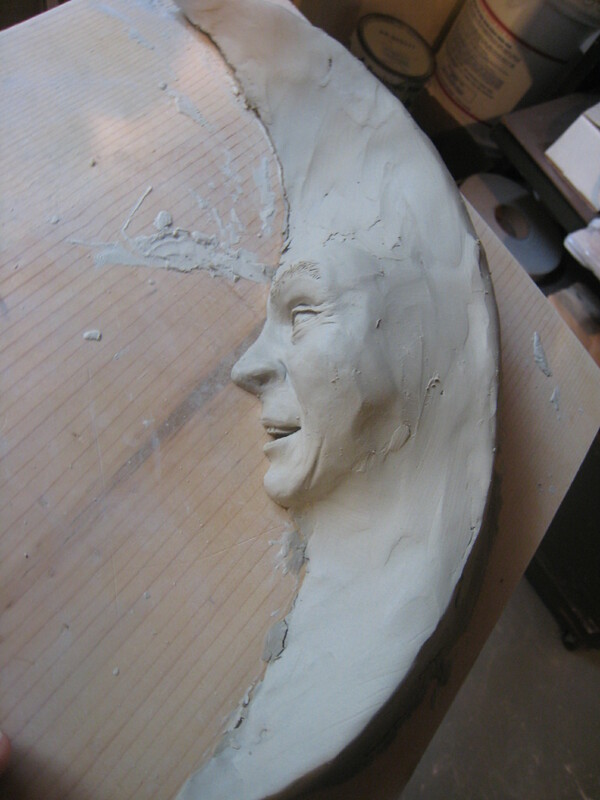 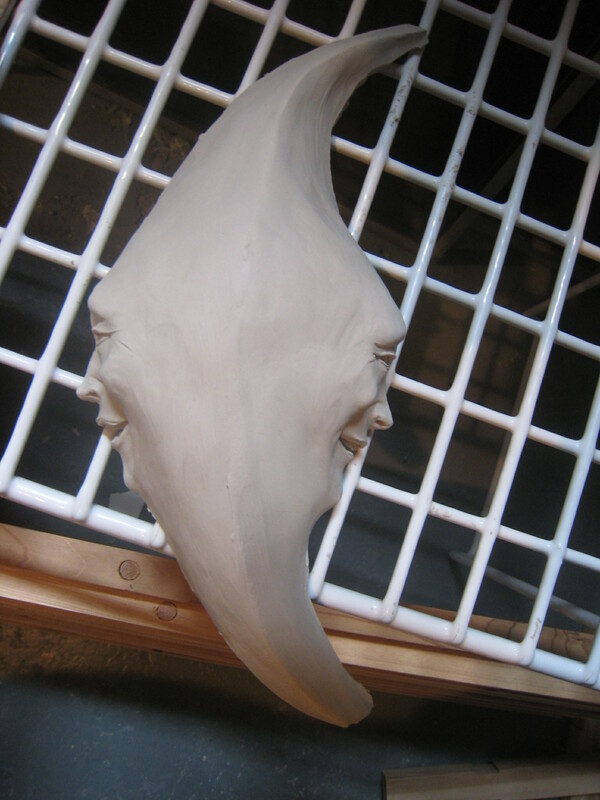 Now that I’m trying to learn to make molds (which seems more time-consuming and involved than just knocking out a few more actual sculptures), I find myself spending more time on each original sculpture. 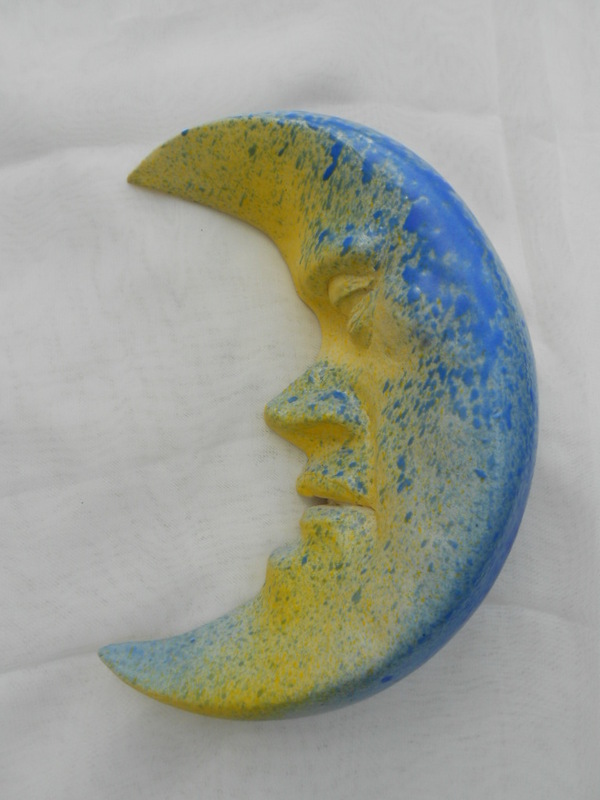 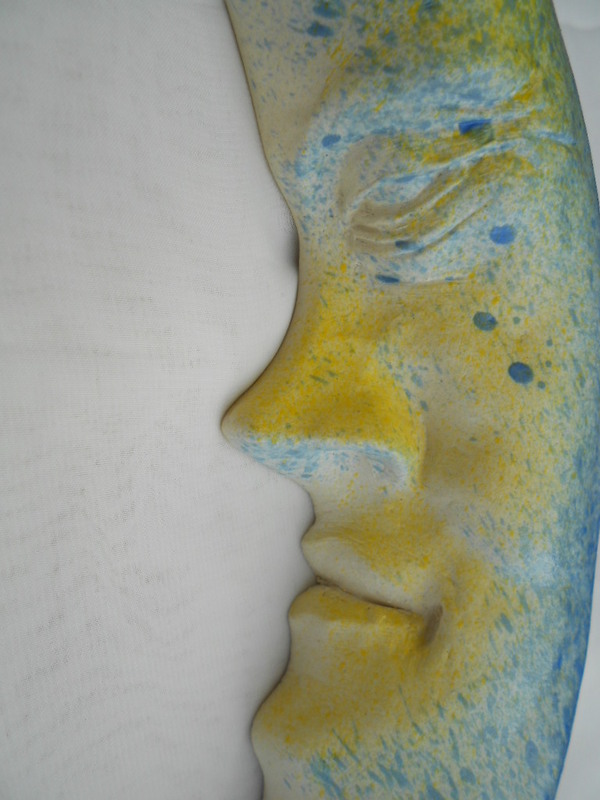 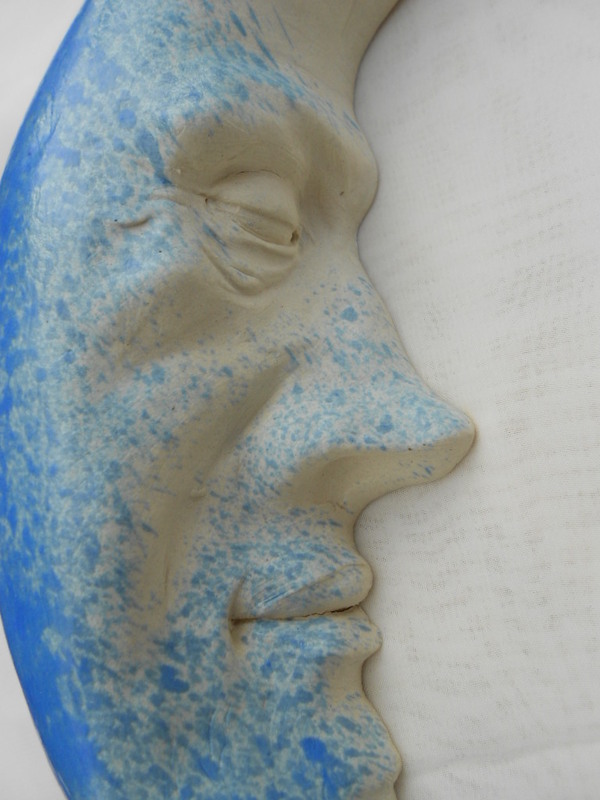 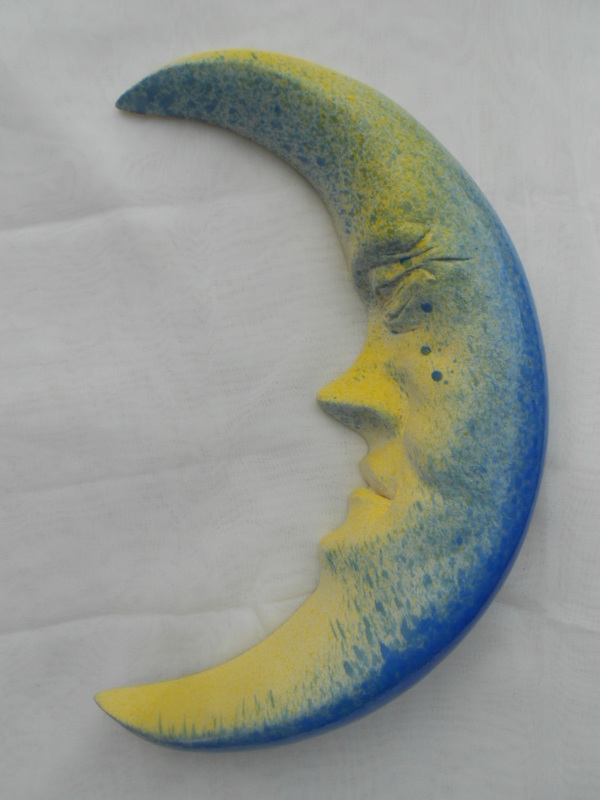 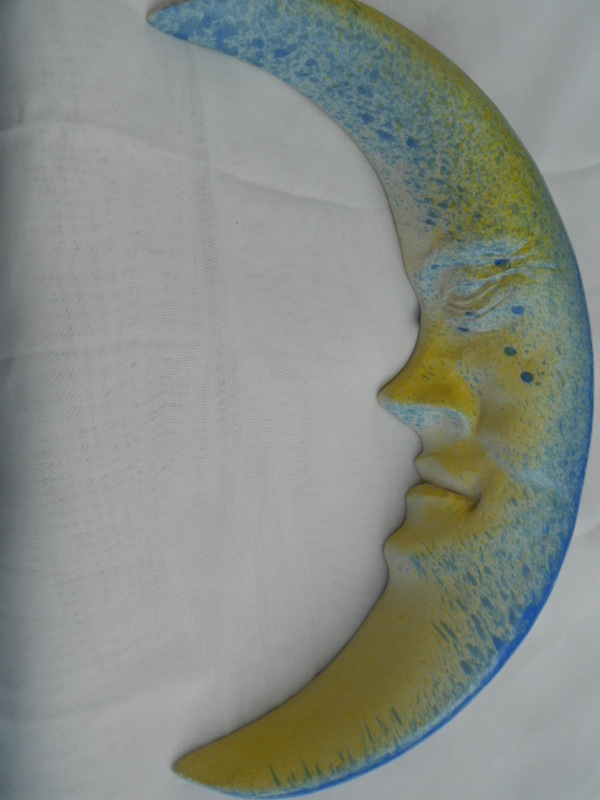 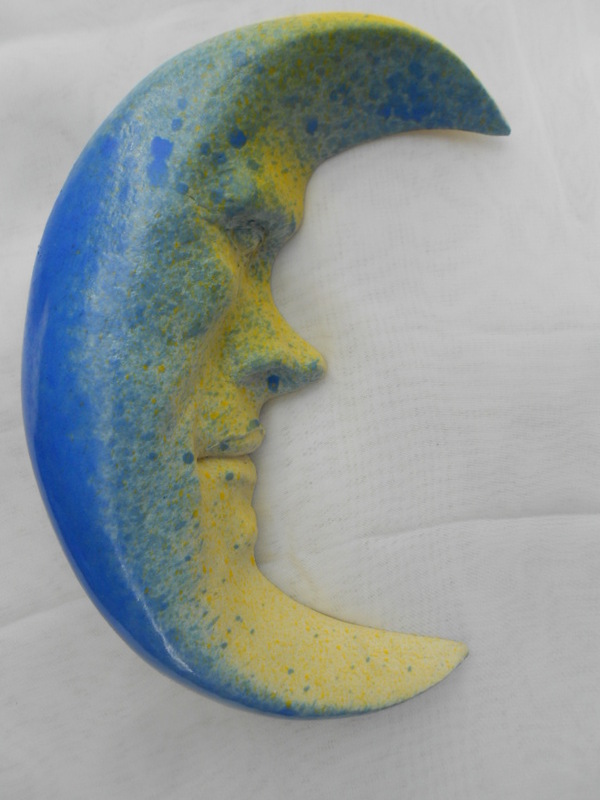 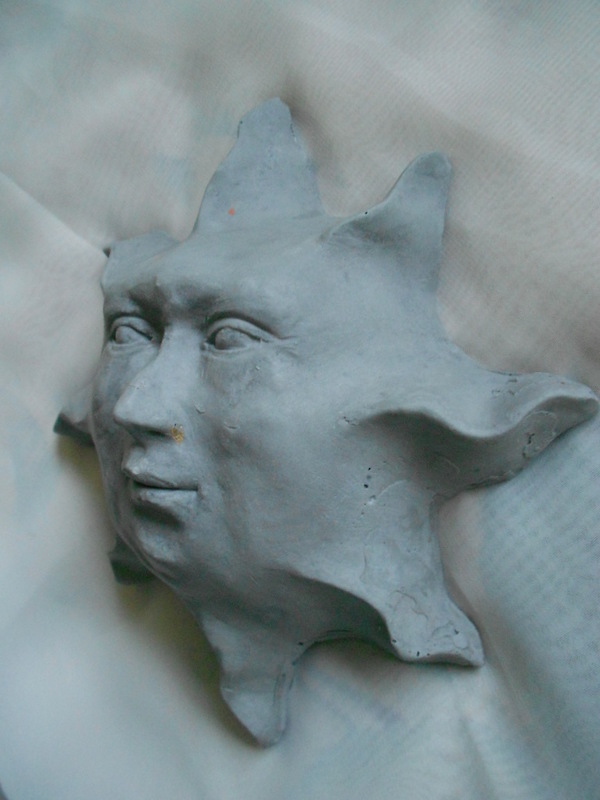 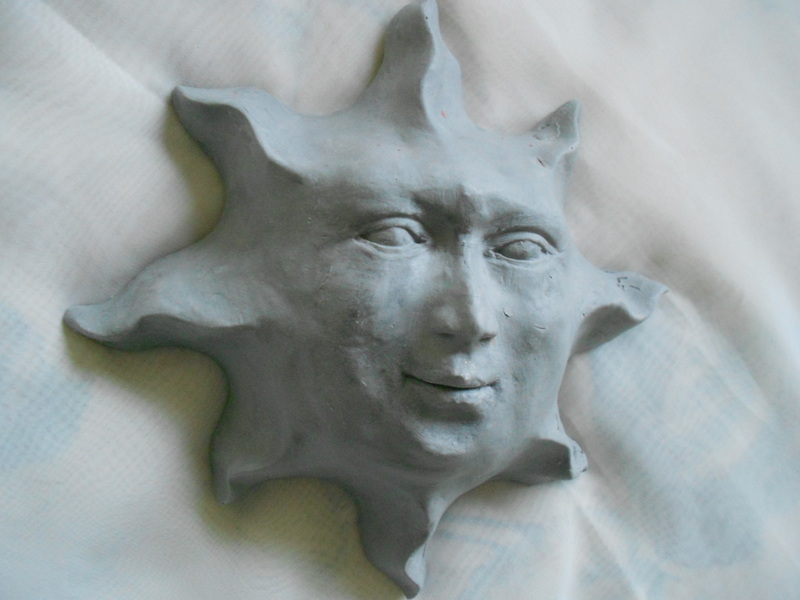 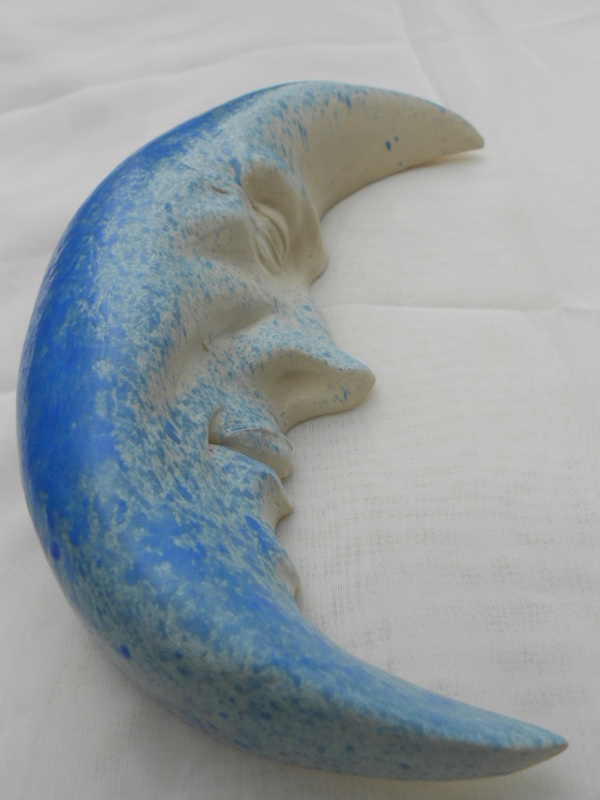 This is another stylized sun face that may some day add an eccentric accent to a garden or interior wall. 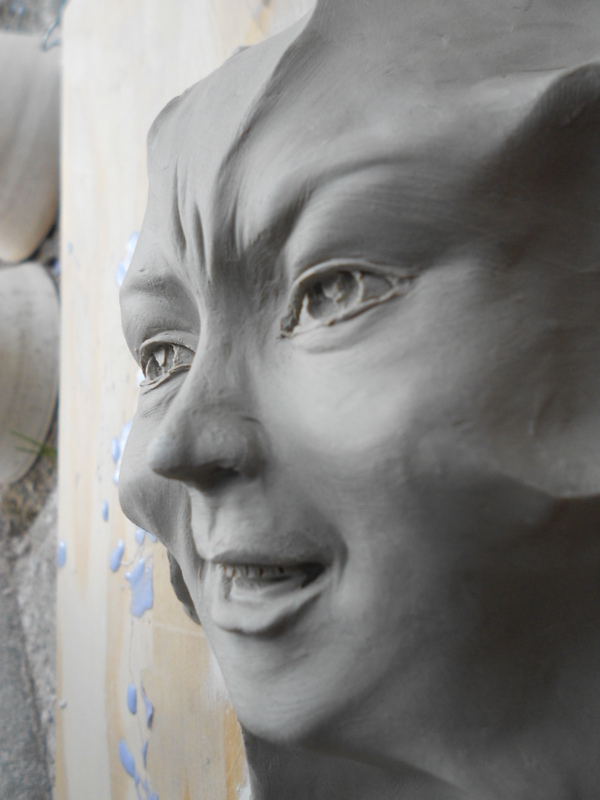 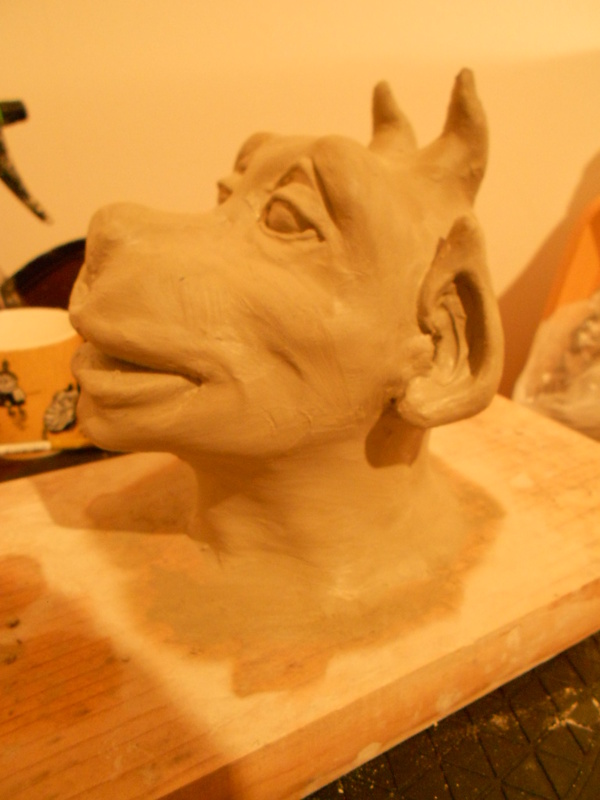 Another gargoyle head is done. 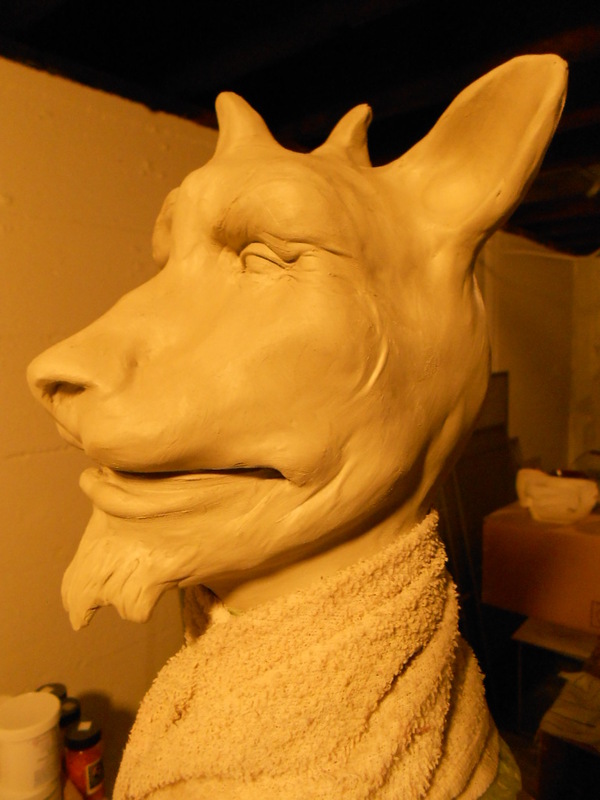 This one turned out more bovine-looking, or maybe doglike. 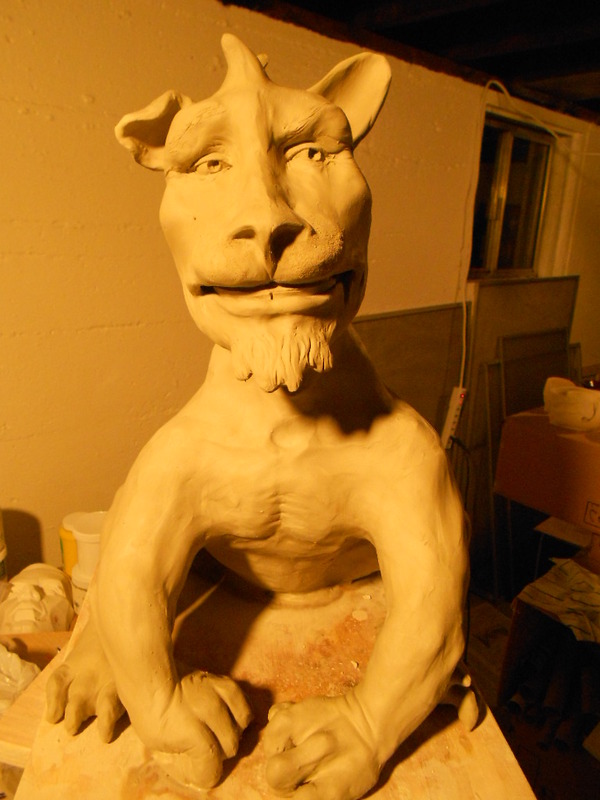 The latest gargoyle is done. 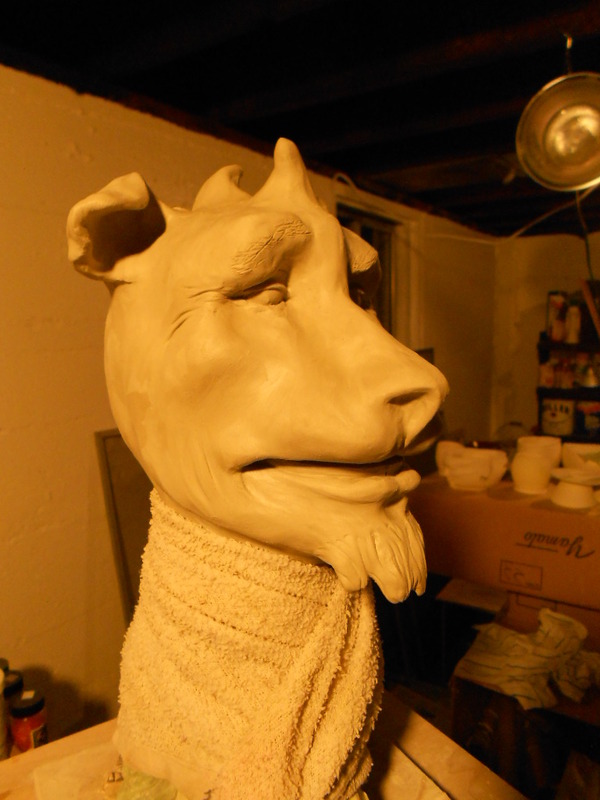 I feel a series coming on. 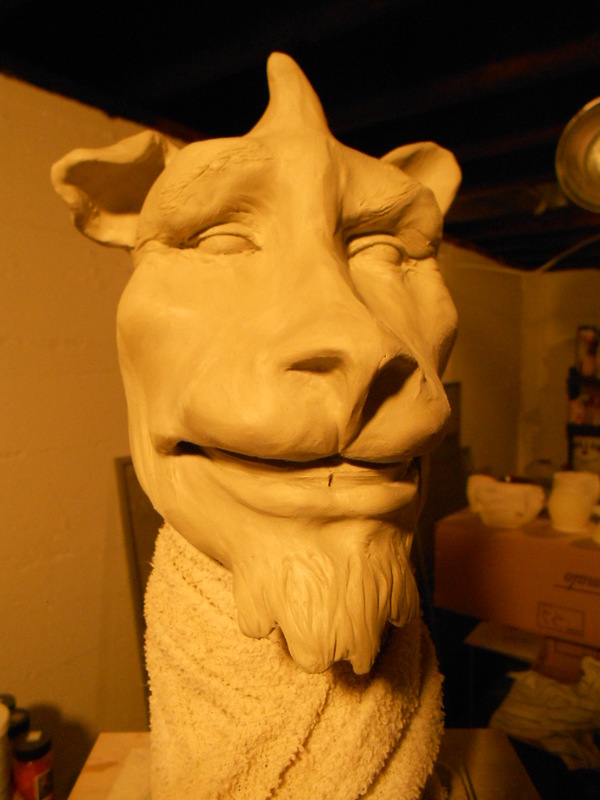 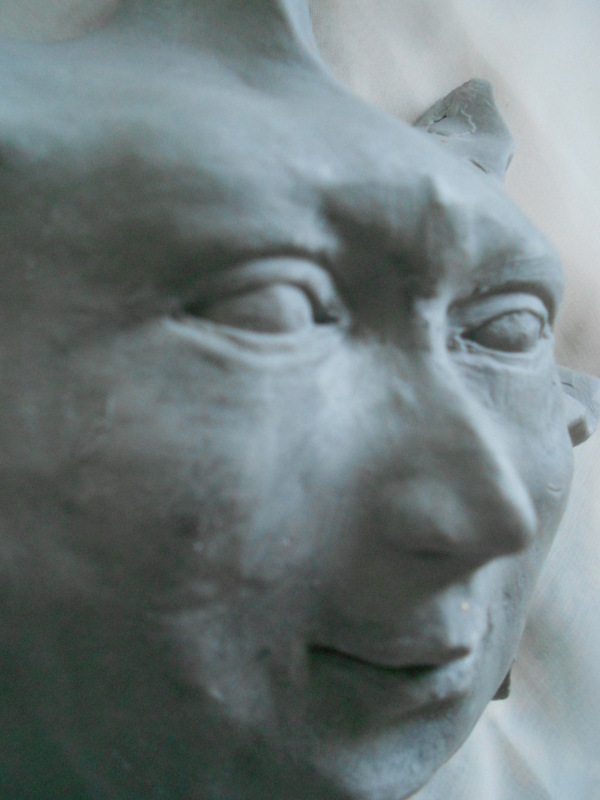 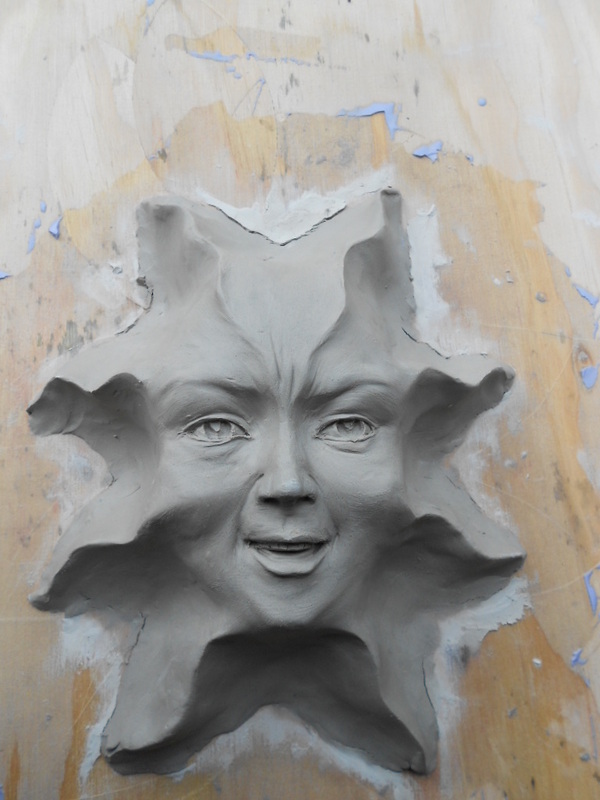 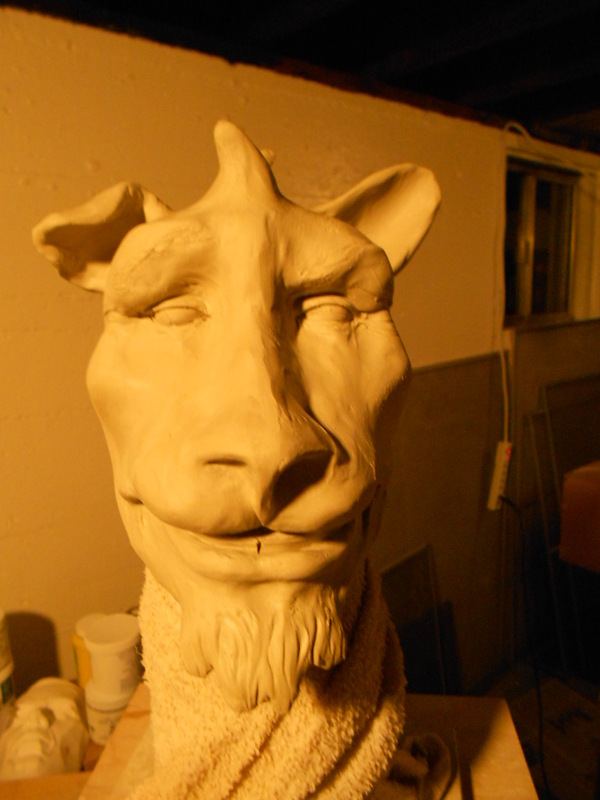 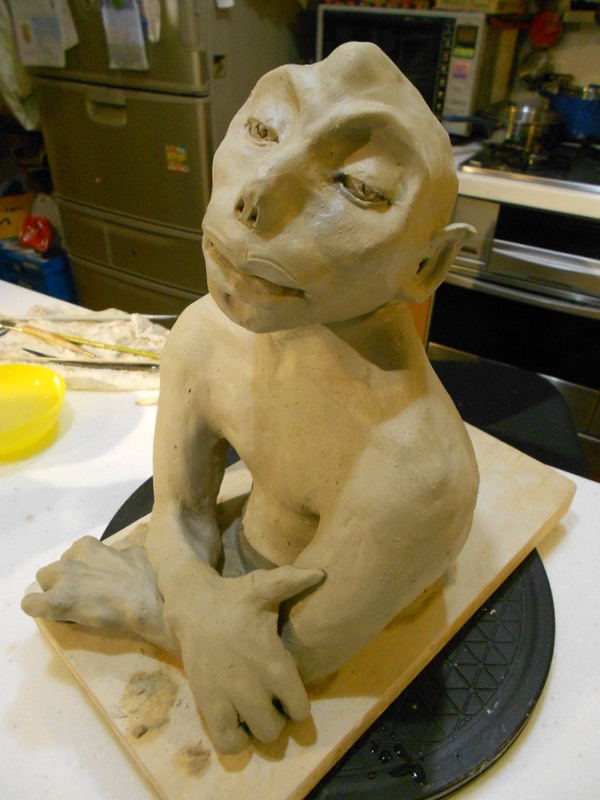 I have a new gargoyle in the works. 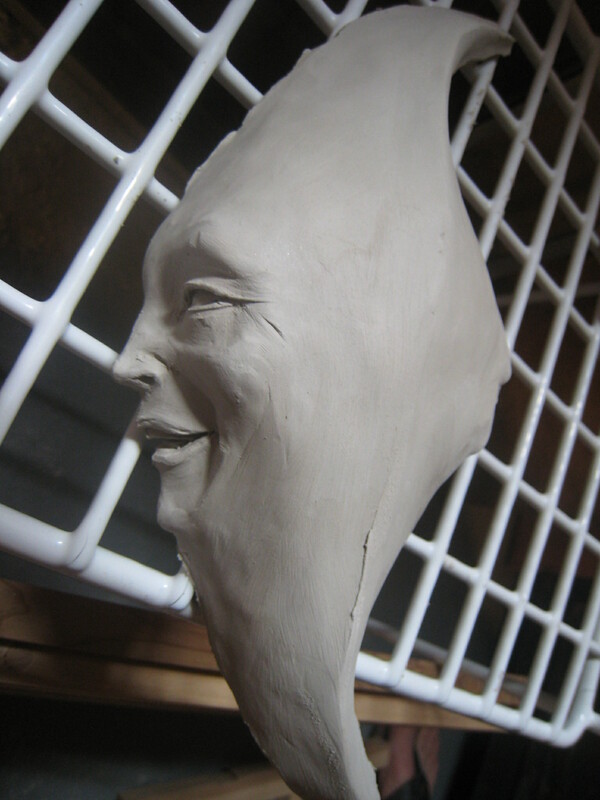 I’ll do the head tomorrow. 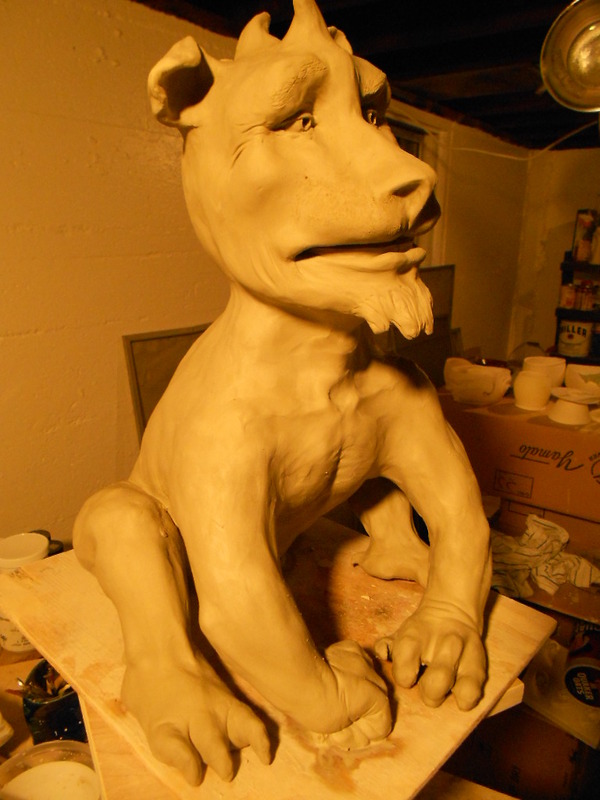 Maybe it’ll be a bored gargoyle.